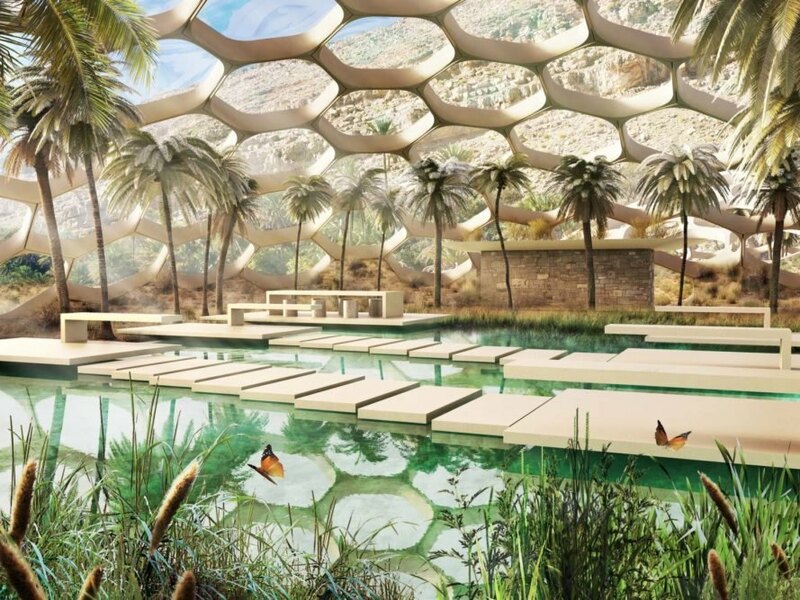 In an effort to encourage ecotourism for the millions that visit the United Arab Emirates each year, the country has officially launched the Biodomes project, which will feature beautiful biodomes designed by Baharash Architecture. 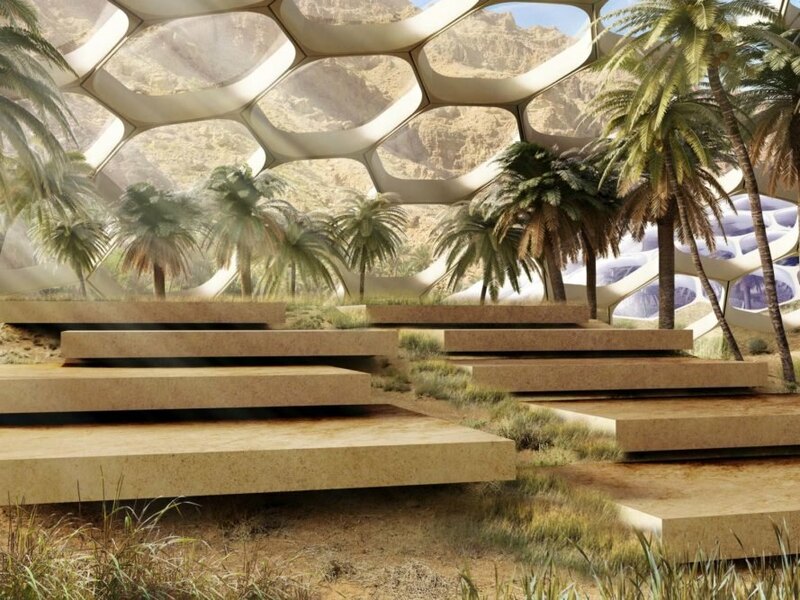 Located in the mountainous eastern region of the UAE, the biodomes will be self-sustaining, use 100 percent renewable energy and have a minimal impact on the surrounding environment. 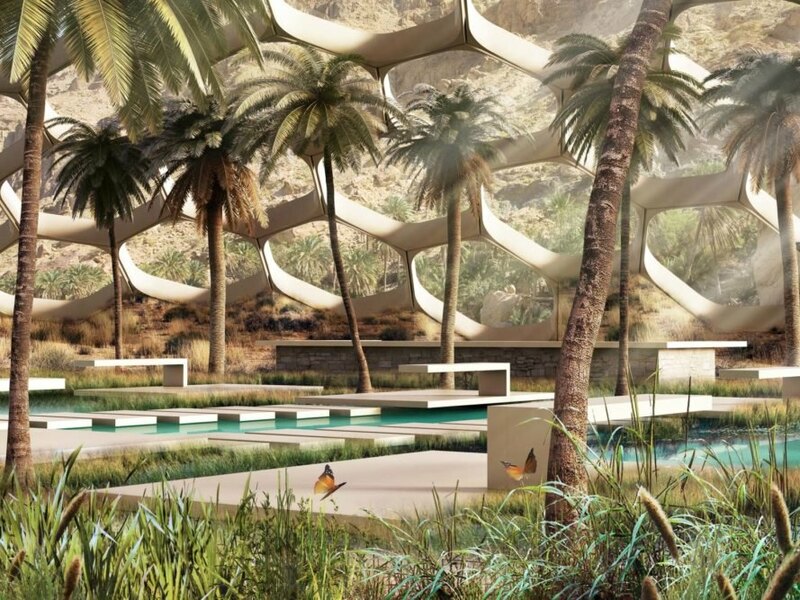 Ultimately, the UAE hopes that the biodomes will promote awareness of and interest in the variety of wildlife in the mountain region. 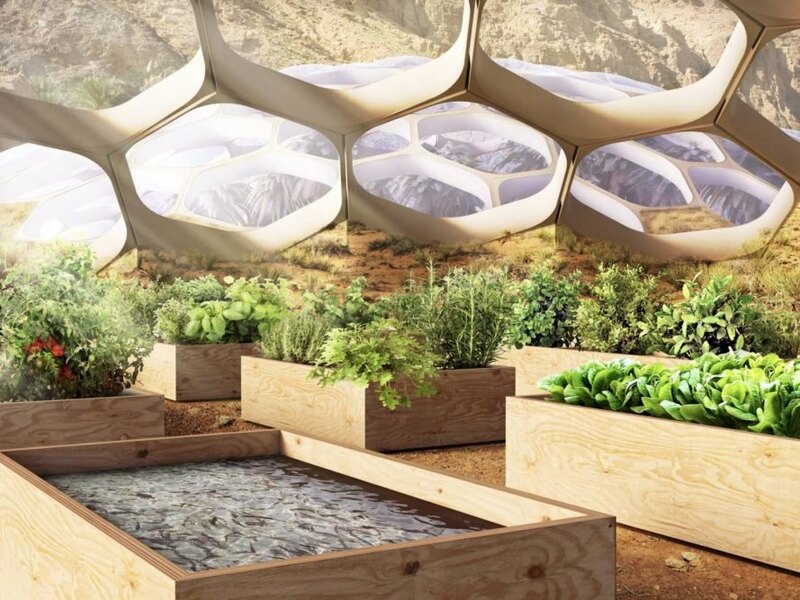 Baharash Architecture’s biodomes will provide a controlled environment, similar to that of a greenhouse, that closely mimics the surrounding natural area. In this case, the biodomes will be located in the Al Hajar Mountains, a stunning region that is home to rare species of Arabian wildlife. The project seeks to raise awareness of mountain biodiversity, and its facilities will include a wildlife conservation center and an adventure-based wilderness retreat. The self-sustaining structures are crafted from prefabricated components, which will help to reduce site disruption and allow for the biodomes’ quick assembly. Semi-subterranean typology will provide passive cooling benefits, and the biodomes will rely on 100 percent renewable energy and use recycled wastewater for irrigation and waste management on site. Visitors to the biodomes can experience a restaurant that offers both organic local cuisine and breathtaking views of the surrounding landscape. Additionally, according to Baharash Bagherian, the Director and Founder of Baharash Architecture, the biodomes’ “bioclimatic indoor environments will provide visitors with thermal comfort, restorative and therapeutic benefits.” Visitors can also participate in several nature-based ecotourism activities, including ziplining, horse riding, hiking, camel excursions, mountain biking, paragliding and much more. 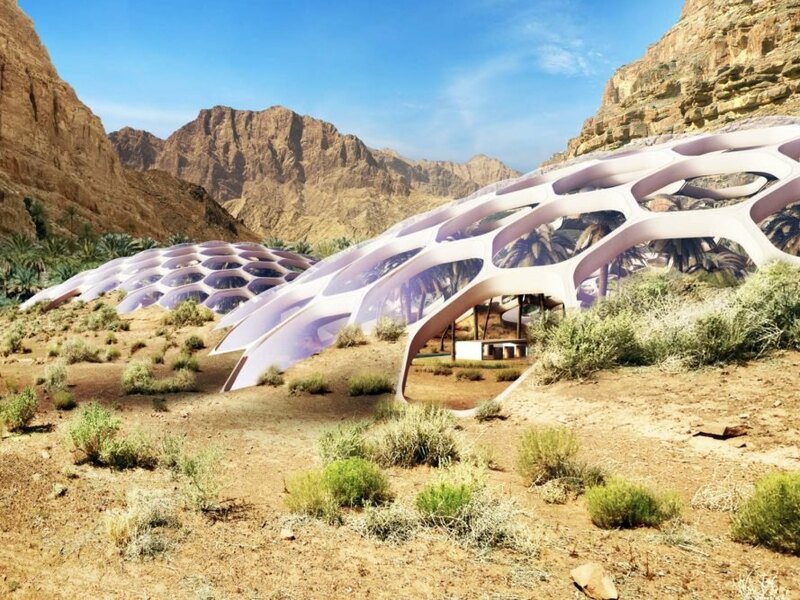 The United Arab Emirates has officially launched the Biodomes Project, an effort to increase ecotourism in the country. The UAE hopes that the project will promote awareness of and interest in the country's mountainous eastern region. The biodomes will provide a controlled environment similar to that of a greenhouse. The facilities will include a wildlife conservation center and an adventure-based wilderness retreat. The biodomes will be self-sustaining, with 100 percent renewable energy and a wastewater recycling system. The biodomes will be made from prefabricated components and include a restaurant that offers organic local cuisine.